Find Rockwell, NC Homes for sale. View Photos, Maps and MLS Data Now! You'll find the best of everything here. Welcome Home to 5820 HWY-152! MLS#3498154. EXP REALTY LLC. Updated home featuring an open floor plan, bamboo flooring, granite/quartz counters, new stainless steel appliances, new carpet, ceramic tile, new roof, new well, HVAC, new windows plus brand new washer and dryer. MLS#3497735. Select Prop. of the Carolinas. Bank of America employees, spouse or domestic partner, household members, business partners and insiders are prohibited from purchasing. MLS#3496324. Kirby Realty Company. Schedule your showing and make this your new home! MLS#3494661. TMR Realty Inc.. Seller will give up to a $1200 allowance for dishwasher and stove with accepted contracted. MLS#3493009. Central Piedmont Properties Inc.
3 car garage with breezeway attached to home with additional parking spaces. MLS#3490706. Better Homes and Gardens Real Estate Paracle. Dawnwood - Kitchen offers new countertops. Large fenced in backyard! MLS#3488856. Lantern Realty & Development LLC. For more information call listing agent for an appointment. Model home is open. MLS#3490580. Lennar Sales Corp.
Cornelius Farms - Priced at recent appraised value and move in ready. MLS#3488174. Marie Leonard-Hampton Real Estate Services. Desirable Mt Pleasant schools as of the listing date. MLS#3487443. CK Select Real Estate. We may have just the unique property for you! Lots more! MLS#3485046. RE/MAX Leading Edge. Detached garage is 30 x 24 and has an additional workshop attached. MLS#3485840. Main Realty LLC. Appliances are included. Come take a look today! MLS#3485635. Keller Williams Concord/Kannapolis. For more information call listing agent for an appointment. Model home is open. MLS#3486081. Lennar Sales Corp. 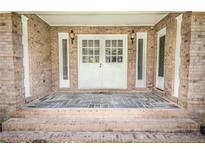 Covered front porch, large wooden deck on back, chain link fence back yard, 2 car carport, concrete driveway. Great home!!!! ! MLS#3484802. Waggoner Realty Company. Lots of storage space!! Must see home! ! MLS#3484720. Lantern Realty & Development LLC. Timber crop Income and in agriculture tax program. MLS#3483371. Locus Real Estate Advisors Inc.
Must see all this home has to offer! MLS#3482024. TMR Realty Inc..
Further, traffic is expected to increase from 2,900-4,000 vehicles per day (2010 numbers) to 4,100-5,800 in 2035. MLS#3478810. RE/MAX Intelligence. garage is, and half crawlspace that is accessed by a separate entry way. MLS#3479260. Century 21 Towne and Country. Model home is open. Closed Thursdays / Fridays. MLS#3476663. Lennar Sales Corp.
Model home is open. Closed Thursdays / Fridays. MLS#3476649. Lennar Sales Corp.
Has a great step down den, split bedrooms, island in the kitchen with great counter space. Nice size lot. MLS#3475561. Dale Yontz Realty LLC. Model home is open. Closed Thursdays / Fridays. MLS#3473433. Lennar Sales Corp.
Lower Rowan County taxes! No HOA! MLS#3467708. DM Properties & Associates.